Minnie Culpepper, Patient, Wh, F, born (Mo?) 1866, age 34, md, NC/NC/NC. John A. Culpepper and Miss Sarah J. Robinson, 12 Feb 1873, Fannin Co., TX, Book B.
Sophrana Culpepper, Wife, F, Sep-1848, 51, M, md-28 yrs, Ch 10/7, AR ENG AL. + Leola Culpepper Cooper, 1 Apr 1875 - 25 Aug 1958. E-mail written Oct 2008 to Lew Griffin from Barbara Ryon, e-mail address. Moses W. Cameron, M, 23, Laborer, S, TN TN TN, Farming. Jane Culpepper, Mother, F, 61, wid, ch 2?/2?, AR Eng-English AL. Jane Culpepper, Mother-in-Law, F, 70, Wid, AL AL AL. Jane Culpepper, MIL, F, 84, WD, md@n/a, AR AR AR. R. C. Culpepper, Tarrant Co., Oct 6 1927, 34977. 3) Thomas William "Will" Ryon, b 12 Jun 1898, Savoy, Fannin Co, TX. d. Oct 1918 in the great flu epidemic of 1918 on a train enroute to Kansas City with a load of cattle. bur: Mount Olivet Cem., Fort Worth, Tarrant, TX. Spouse: Kat Ragon? 4) Henry Ryon, b 14 Sep 1901 at Bonham, Fannin Co, TX. m 23 Dec to Irene Rutledge (year unknown). d. in Brownwood, TX. Burial in Brownwood. 5) Dewitt Ryon. b. 8 Sep 1905 in Bonham, Fannin Co, TX. d 27 Nov 1970 in Wichita Falls, TX. Bur: Mount Olivet Cem, Fort Worth, Tarrant, TX. 6) Ezra Mae Ryon, b 5 Oct 1907. m 16 Mar (year unknown) in Haskell, TX, to Jeff F. Tidwell. d. in Fort Worth, Tarrant, TX. 7) Garnett Ryon, b 23 Dec 1909, in Fort Worth, Tarrant, TX. m. Jewell Crew. d. in Fort Worth, Tarrant, TX. Bur: Mount Olivet Cem. 8) Fred Wayne Ryon, b 23 Aug 1913, Fort Worth, Tarrant, TX. m. 5 Apr 1934 in Fort Worth to Fay (NMI) Dorris. Alice Duggan Gracy / Jane Sumner / Emma Gene Seale Gentry, Early Texas Birth Records, 1838-1878, Austin, TX: Privately Published, 1971. E-mail written 2003 to Lew Griffin from Barbara Ryon, e-mail address. Cemetery- Chillicothe Cemetery, Texas, Hardeman Co., Chillicothe. Fannin Co. TX GenWeb, "Fannin County Folks and Facts," page 155. L. D. S. San Antonio Stake, compiler, Roselawn Memorial Park Cemetery Records, San Antonio, Bexar County, Texastyped by the Genealogical Society, Salt Lake City, Utah, 1963. Henry A Culpepper is the father of an infant born 18 Sep 1922 in Bexar Co., Texas. H. A. Culpepper (Infant of), Bexar Co., Sep 18 1922, 25188606. William H. Culpepper, Head, M, Wh, 34, Md1-12 yrs, VA/VA/VA, Agent-Insurance Co.
Milton O. Culpepper, Son, M, Wh, 9, S, VA/VA/VA, None. Virginia Beach - Thelma May Culpepper Parsons Skelton, 97, passed away Sunday, November 15, 2015. She was born November 21, 1918 in Portsmouth to the late William and Lola Culpepper. 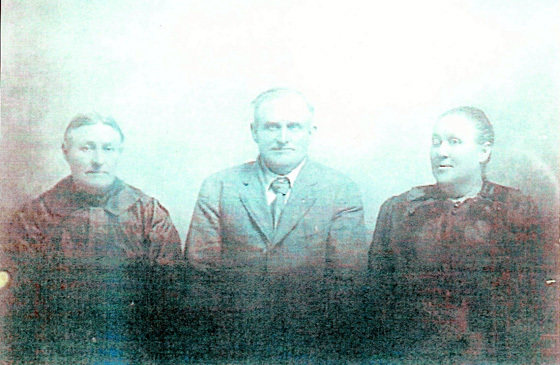 She is predeceased by her first husband, George Barr Parsons; her second husband, Bernard Edward Skelton; and her grandson, Christopher B. Parsons. She departed this life leaving behind her beloved son, Milton Parsons, Sr. and wife Janet Marie Parsons; three grandchildren, Andrew T. Parsons, Milton B. Parsons, Jr. and wife Shirl and Kimberly Burke and husband Peter; a granddaughter-in-law, Kathi Parsons; four step-children, Lorene Scott and husband Otis, Judy Turner and husband Garry, Brenda Hostetler and husband Harold and Richard Skelton; ten great grandchildren, Miacha Parsons, Jennifer Parsons Peters, Michael Parsons, Brian Parsons, Kristi Parsons, Sarah Campbell, Donald Burke, Michael Burke and Shantelle Kerik; and twelve great great grandchidlren. She was retired from Civil Service. She had a great love for her family. She was a member of First Baptist Church of Norfolk and loved her Sunday School Class members. She organized and enjoyed many "Young At Heart" programs at church over the years. She was a pianist, organist and china painter. George Harrison, Boarder, M, Wh, 25, S, VA/VA/VA, Laborer-Navy Yard. Thelma Culpepper, Daughter, F, Wh, 11, sng, VA/VA/VA. Obituary of Thelma P. Skelton, published in The Virginian Pilot on Nov. 17, 2015. M D Culpepper, Male, married L T Allen in 1920 in Currituck Co., NC. Robert E. Culpepper, 28 Sep 1923 - 13 Aug 1997, Served 7 Apr 1943 to 28 Feb 1946 as S Sergeant in the US Army, Interred 18 Aug 1997 in Quantico National Cemetery, Section 12, Site 29. Bobby Culpepper, Son, M, Wh, 6, sng, VA/VA/VA. Betty Culpepper, Daughter, F, Wh, 5, sng, VA, 1935 in Gastonia, NC. The News Leader, Staunton, VA (http://www.newsleader.com/), Monday, June 14, 2004. Obituary for Milton O. Culpepper, Jr.
Obituary* 14 Jun 2004� ROANOKE -- Milton O. Culpepper Jr., 81, formerly of Staunton, died Saturday (June 12, 2004) at his daughter's residence. Mr. Culpepper was born Sept. 18, 1922, in Portsmouth, to Milton Owen Sr. and Thelma Allen Culpepper. His employment included Past Probation Officer in Staunton and Augusta County and a district manager of Metropolitan Life Insurance Co.
Mr. Culpepper was preceded in death by his wife, Frances Fulton Culpepper; a son, Robert James Culpepper and a brother, Robert E. Culpepper. Survivors include his children, Milton Owen III of Nelson, B.C., Canada, and Frances Culpepper of Arlington, Elizabeth Hogan of Roanoke and Nancy Dawson of Manassas; and two sisters, June C. Cotton of Portsmouth and Betty C. Hall of Annapolis, Md. E-mail written May 2007 to Warren Culpepper from Milton Owen "Mike" Culpepper III (#38067), e-mail address. + Frances Fulton Culpepper, 39834668, 1923 - 1990. Milton Owen Culpepper, Jr. is the father of Nancy Allen Culpepper, born __ 1958 in Onslow Co., NC. Obituary of Mrs. Frances Fulton Culpepper (#38060), published 18 Feb 1990. Robert Everett Culpepper, 74, a mortgage banker who retired in 1984 as director of project mortgages for the Federal National Mortgage Association, died 13 Aug 1997 at Inova Alexandria Hospital after a heart attack. Mr. Culpepper, a resident of Alexandria for 23 years, was born in Portsmouth, Va. During World War II, he served in the Army in Europe and received a Bronze Star. Later, he graduated from The Citadel Military College of South Carolina. He then worked for Metropolitan Life Insurance Co. in New York, where he became assistant vice president for real estate financing. In 1974, he moved to the Washington area and joined the Federal National Mortgage Association, where he remained until retirement. Survivors include his wife of 30 years, Pauline A. Culpepper of Alexandria; a brother, Milton Culpepper Jr. of Roanoke; and two sisters, June Cotton of Portsmouth, Va., and Betty Hall of Annapolis. Obituary of Pauline A. 'Polly' Culpepper (#38062), published 21 Sep 2011. Robert E Culpepper, White, Single, born 1923 in Virginia, residing in Chatham Co., Georgia, enlisted as a Private in the US Army on 31 Mar 1943 at Fort McPherson, Georgia. Robert Everett Culpepper Obituary, 1 Aug 1997, Page B06. 16 Aug 1997 Obituary for Robert Everett Culpepper. Milton Owen Culpepper is the father of Betty Laurence Culpepper, born 1934 in Mecklenburg Co., NC. Patty Culpepper served as a Diplomat for the US Department of State. + Robert James Culpepper, 39834670, 1955 - 1982.